Mark has been working in television for 20 years producing a range of content from daytime syndicated talk shows, court shows, reality shows and scripted series to content for digital. His television career spans producing, developing, and launching national shows and digital content for Telepictures, King World, Tribune, ABC Daytime, 20th Television (FOX), Debmar Mercury, ITV, Harpo Productions and Lifetime TV. Most recently, Mark created and sold and Co-Executive produced a docu-series for Oxygen that is currently in post-production scheduled to air in Spring 2017. Mark has also produced multiple pilots and sizzle reels for selling television shows, training programs for the Veterans Administration (VA), and marketing videos for non-profits and New York Times best sellers. 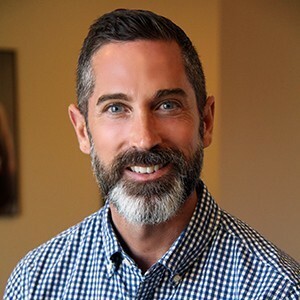 In addition, Mark has completed the MBSR (Mindfulness-Based Stress Reduction) teacher training practicum through InsightLA and the University of Mass' Center for Mindfulness. Mark is also part of the InsightLA teacher development group and has completed InsightLA’s facilitator training program.